The 1800s bequeathed us with a surplus of fantastical tales, one of which being Focus Features' "Victoria and Abdul." 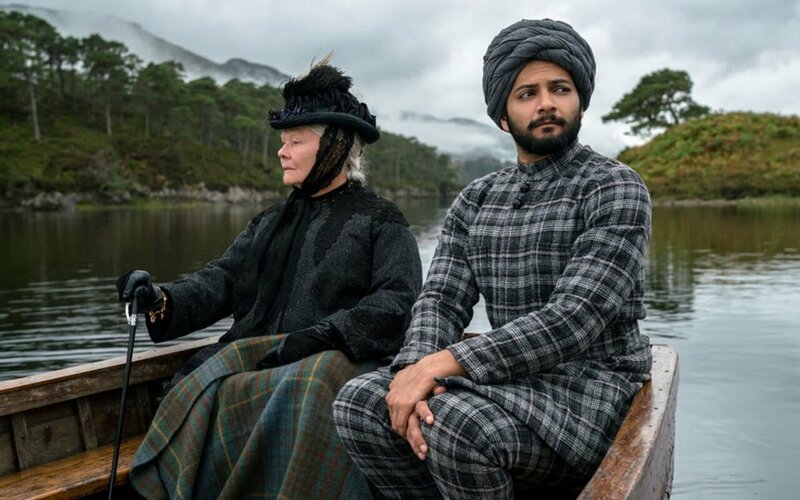 Set in 1887 during Queen Victoria's Golden Jubilee celebrating 50 years on the throne and her new title as Empress of India, "Victoria and Abdul" seeks not to wow us with royal grandeur (though it does), instead directing our focus to the untold story of her servant-turned-Munchi Abdul Karim and their controversial real-life relationship. Enthusiastic and eternally-optimistic Abdul (Ali Fazal, "Furious 7"; delightful and all-around adorable) is a young indian prison clerk tasked with sailing to England with his less-enthused and irritable friend Mohammed (Adeel Akhtar, "The Dictator") in order to present the elderly but snappy Queen (Judi Dench, "Mr. Brown," "Casino Royale"; exquisite) with a ceremonial coin. All goes as planned, until the Queen and Abdul become close friends, thus stirring the royal court into a frenzy of suspicion, greed, and hatred for the Queen's new Muslim Munchi. It's a quaint story of two misfits brought together despite the opinions of others; and similarly to last year's "The Dressmaker," "Victoria and Abdul" then attempts to craft secondary characters without much redemption nor heart. This is where the Victorian era film falls flat. While "The Dressmaker" may have unredeemable characters, their downfall makes all the heartbreak worthwhile. Meanwhile, in "Victoria and Abdul," what begins as an endearing and witty reflection of two odd companions turns into a Muslim witch-hunt moments after the Queen's passing. In fact, the best scenes in "Victoria and Abdul" are those with only the title characters in them— Dench and Fazal have wonderful chemistry and are hard to look away from. It's the remaining scenes that cause a bore as back and forth fighting for the better half of the film gets tiresome. However, the lead performances ring true. Academy Award winner Judi Dench commands the screen in her second go-around playing Queen V (the first in 1997 for "Mr. Brown," coincidentally also a film about the Queen and one of her unusual companions; a Scottish one in this case). Her crisp blue eyes and clear exhaustion of the politics and noise juxtapose impeccably with the captivating and wide-eyed humor of the young and scrappy Abdul. Dench wears dignity like she created it herself, and it shows in luscious fits of umbrage towards her son, the royal court, and basically anyone who defies her. The only one who comes close to sparring with her brilliance is Fazal, whose glory isn't in his wit or handsome demeanor — though he possesses both — but in his ability to allow the Queen to express herself while still maintaining his own values. He looks up to her, but does not fear her, and this makes all the difference. Abdul revels in the little things, especially carpets, believing they represent the way humanity is stitched together, and gifts the Queen with knowledge and mirth. It is most unfortunate then that the story becomes less about this friendship and more about making a point. Abdul, who starts off full of personality and curiosity, transforms more into a symbol of tolerance amidst a group of bourgeoisie buffoons, or as Mohammed likes to call them, "stupid Aristocratic fools." Instead of allowing "Victoria and Abdul" to simply breathe in its little independent snow globe, director Stephen Frears ("The Queen," "Philomena") decides to hand us, on a silver platter, in-your-face themes of acceptance and heartaches. However, it all seems shallow, particularly after the death of Abdul's travel buddy Mohammed who had all but disappeared from this film save for the occasional scene of his deteriorating health. He was brushed under the same rug they all claim to be stitched out of. Despite this, "Victoria and Abdul" is for the most part effervescent, humorous, and touching; from a Mad Hatter-esque tea party in the Scotland hills to unapologetically funny moments between the Queen, Abdul, and his wife. With nine children, forty-two grandchildren, and nearly one billion citizens, the Queen is not to be underestimated, and even in her last moments, she is a force. 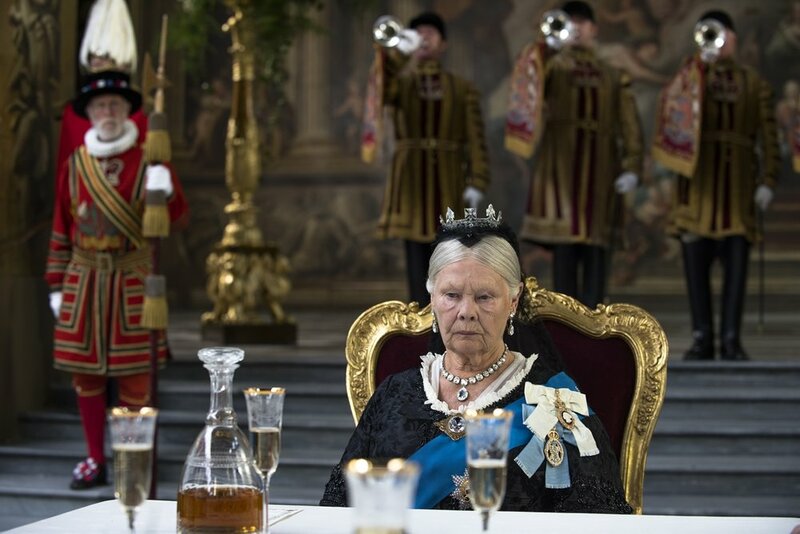 The rest of the film is lacking in her absence, but that's the moral of this story: with "Victoria and Abdul," in the end, we long for more of the beginning.